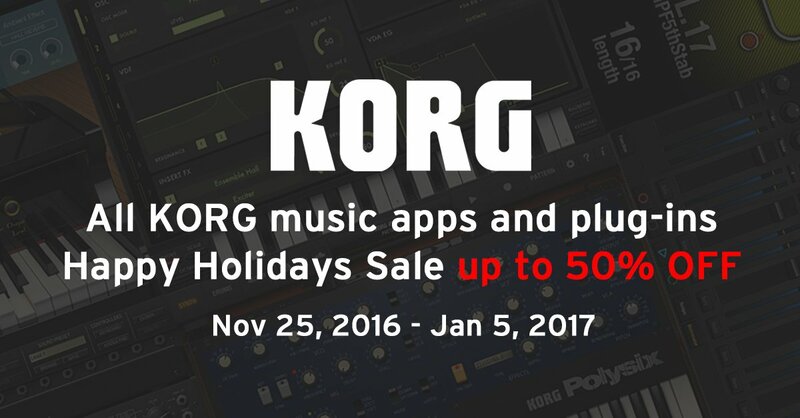 KORG jumped today on the train of the Black Friday Sale. 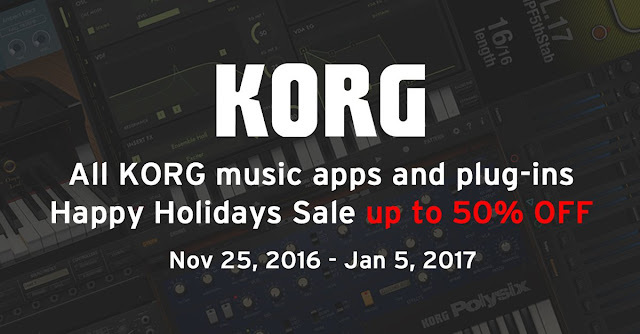 For limited time, you can buy their apps with a 50% OFF discount. This offer exclude ARP ODYSSEI which is in a 30% OFF introduction offer.